This article is a continuation of the leadership series started by Jim Stroud in 2018. As many of you may know, Jim retired from Warren Averett in December 2018, after serving for many years as an advisor in our health care division. Practice administrators and physicians would seek his advice related to dissension among the physicians, leadership struggles or resistance to change in a changing environment, and more. Jim would communicate the issue, engage our team to assess the details, and resolve the crisis. We often provided ongoing advisory services to foster physician leadership or assist the administrator in facilitating change. At times, the problems had resulted from governance issues within the practice. A small practice usually relies upon a physician owner to set the practice goals. The practice can only grow and evolve if he or she stays abreast of changes. Every group practice started small and grew over time due to the consistency of the leadership and a clear vision. Most groups employ an administrator to handle most of the day-to-day decisions and lead the practice through strategic goals. Occasionally, we see a practice that grew through the addition of physicians, but there is still no strategic plan for the future. A positive culture fosters teamwork through effective communication. Think about how you want the staff and your patients to view your practice. The staff will showcase your culture through the performance of their jobs. I worked with a practice last year whose physician leader had fostered loyalty and success in the staff through “morning huddles.” The staff worked well as a team and supported each other as problems occurred each day. The culture should evolve by hiring staff that understands the goals of the practice and how their job is important to the success of the practice. A physician/administrator team that communicates vision, trains and engages their staff will grow leaders in every area of the practice. 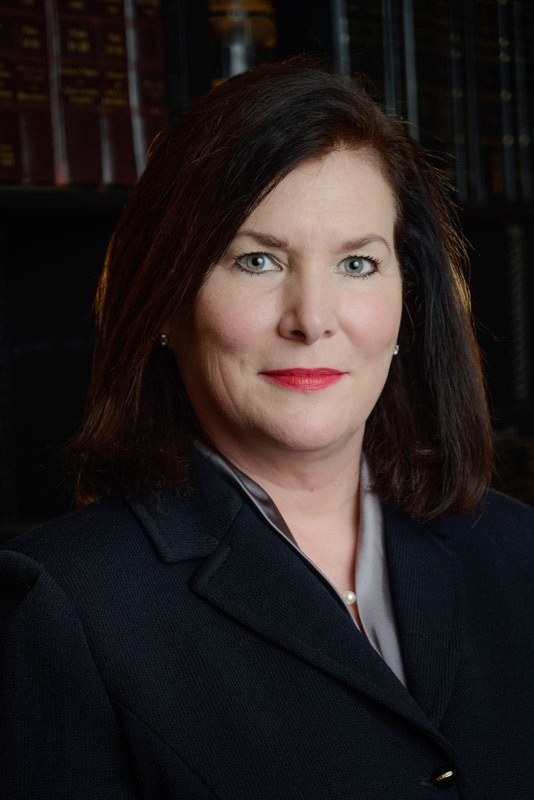 MONTGOMERY – The Alabama Board of Medical Examiners has named Sarah H. Moore as its new executive director and William M. Perkins as its associate executive director. Moore and Perkins, both of Montgomery, are the first female and first African American to serve the ALBME in executive roles. Moore officially assumed her new position on Feb. 1 and the Wilcox County native, an accountant by training, brings with her a wealth of experience as a state regulator and in large organizational management and public administration. Since 2014, Moore has served as chairman of the board and administrator of the Alabama Credit Union Administration, the entity responsible for licensing, regulating and supervising state-chartered credit unions. Prior to joining ACUA, she served as an executive of an NYSE bank holding company for 13 years in numerous roles, including senior executive vice president and chief financial officer. As well, Moore worked for nearly a decade with the predecessor to PricewaterhouseCoopers, auditing financial, governmental, real estate and insurance industry clients. In addition to her professional achievements, Moore has been active in civic affairs, including serving as current president of the Montgomery Area Food Bank, past president of the Montgomery Rotary Club (first female president in the club’s 83-year history) and past Advisory Council member of the Auburn University Business School, among others. She holds a degree in Business Administration and Accounting from Auburn University. Perkins began his new position with the ALBME as associate executive director in mid-January. 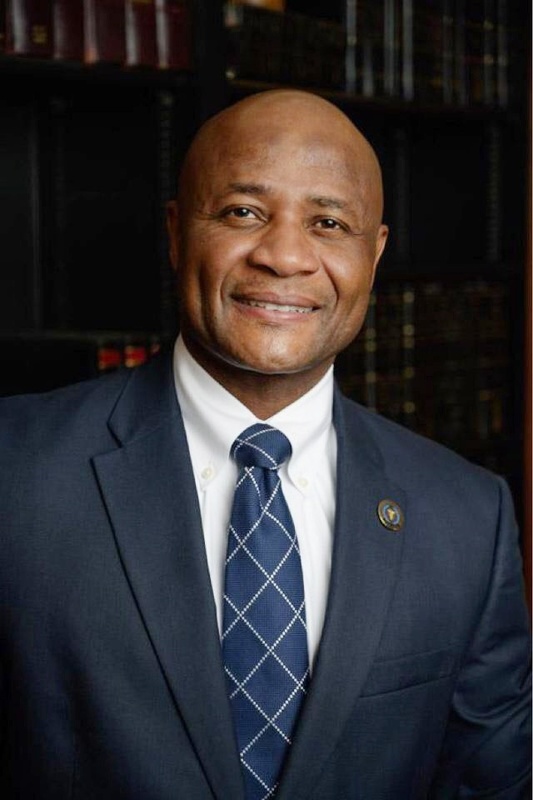 A Montgomery native, Perkins has more than 30 years’ experience in leadership roles in law enforcement, military and regulatory organizations. His professional history includes serving as an officer with the U.S. Army Alabama National Guard; serving as a police captain, investigator, executive officer to the mayor, and other roles in the Montgomery Police Department; and, as Company Commander for the 1203rd Engineering Battalion of the U.S. Army National Guard. Prior to accepting the position of associate executive director for the ALBME, Perkins worked for eight years as an investigator with the agency before in May 2018 becoming office director and overseeing the agency’s daily operations. For his military service, Perkins was awarded the Bronze Star for Operation Iraq Freedom, the Desert Award, four Army Medals of Merit and two Army Commendation Medals. He is deeply involved in his community, most actively working through the Omega Iota Iota Chapter of Omega Psi Phi Fraternity, Inc. of which he is a life member, focusing on at-risk youth. Perkins is also a lifetime member of True Divine Baptist Church, where he’s served as a deacon since 2012. He earned a degree in Business Administration from Faulkner University. The ALBME is the state regulatory agency tasked with licensing, certifying and regulating the practice of medicine and osteopathy in the State of Alabama. The Board’s duties include: qualifying physicians for licensure, approving collaborative and supervised practices between physicians and mid-level practitioners, registering physicians, physician assistants and advanced practice nurses to prescribe and dispense controlled substances and investigating and prosecuting violations of the Controlled Substances Act and the Medical Practice Act. To manage its more than 18,000 licensees, the Board employs a workforce of 31 trained investigators, attorneys and affiliated staff. The Board’s mission and purpose are to protect the safety and welfare of the public through the appropriate regulation of its licensees. Patient Satisfaction: What Is It Really Worth? In previous years, patient satisfaction discussions pertained only to patient surveys and results. Some managers believe surveys are utilized by specialties, such as plastic surgery practices that primarily operate on a cash basis. However, consumerism is here to stay! Cost and quality will create a level playing field in health care and increase the importance of patient satisfaction. When working with a practice, I love to sit in the waiting room to see operations from the patient’s point of view. I also search the specialty online to review the competition and the effectiveness of the practice’s website. During my research, I may also see online reviews, which speak directly to the patient experience. Every business is a function of its people. Choosing the right people, training them continually and providing ongoing communication is essential to creating an exceptional patient experience. A successful practice has an established culture through a mission statement that is expressed each day through the actions of the physicians, managers and staff. Loyalty and profitability follow when an organization makes a promise to a customer and delivers on the promise over, and over again. As an administrator, I begin with a good job description and then hire the person with the desired behaviors and skills to perform the task or job. A consistent training program is a key to success, it is not simply assigning a new staff to another employee for training. The staff training should occur through various methods with a supervisor or mentor. Once training is complete, the employee’s performance is validated before they are released to perform the task unsupervised. Patient satisfaction surveys focus on each aspect of the patient’s visit to assure each person is delivering great service and managing their responsibilities to complete the assigned tasks. Medical staff may be highly trained on a specific clinical task, but a customer service attitude is essential when dealing with patients. Defining a plan to act quickly on feedback from a patient survey is essential to mitigate a problem. You cannot prevent all problems, but the way you handle a problem can salvage a relationship. Establish key behaviors for staff to protect the patient relationship. If you hired people with a genuine heart for service in a medical practice, a problem may arise but the commitment to patient satisfaction should preserve the patient relationship. Technology is rapidly improving. We have the tools to measure every activity in our practice to ensure the patient experience is exceptional. Phone systems have the capability to measure abandoned calls, length of time on hold, and the number of calls going to voicemail. Our practice management systems include reports and options to monitor first available appointments, percent of patients utilizing the patient portal and patient flow. There are many tools to promote better patient engagement, including online registration to eliminate paperwork or automated appointment reminders using text, email or call. The patient portal, if promoted and correctly utilized, can reduce phone calls and improve the patient experience. The portal allows for ongoing communication, as opposed to hours waiting by the phone only to miss the call, which increases the call volume. The portal gives the patient access to information to share with other providers. The development of defined processes and policies is essential to effective training. If the policies are ineffective, or if management does not enforce the policies, then the patient experience is affected. Patients who have an exceptional experience will tell a few people. If they have a poor experience, they may tell the story over and over again. If your practice relies on referrals from other physician practices, do not underestimate the power of the referring office. The referring provider can send patients elsewhere if the patient is not satisfied with your practice. You should be able to identify the top 20 referring physicians and track the volume of referrals to assure it is consistent. The manager should contact the manager of the referring practice to assure needs are being met and the feedback is good. It is important to know what makes your practice thrive. It is comprised of multiple factors, including good physicians and loyal employees, which lead to strong referring relationships. A medical practice exists for the patients, so what is patient satisfaction worth? EVERYTHING! In Stephen R. Covey’s The 7 Habits of Highly Effective People, seven behaviors are examined in relation to how they contribute to being effective in achieving goals. The first of these behaviors is being proactive. Covey explains that proactive people focus their efforts on their Circles of Influence, meaning they proactively seek out opportunities to initiate and influence change in various areas of their life and career. The result is that proactive leaders find their Circles of Influence to be constantly expanding, and this expansion is the case with wise physician leaders. In this article, we will examine how this power of expanding influence is found in your impact outside your family and your practice. The reputation of a physician doesn’t just precede him or her; it races far ahead of him or her, and it travels faster than you might think. In both small and large towns, in both specialty practices and primary care, for both young and mature physicians, there is an aura of reputation which permeates their community. When a new physician enters a group practice, we often recommend he or she buy lunch for the staff within his or her first month of practice. This creates an understanding among the staff that the new doc appreciates them, and it initiates the leadership process. This is the beginning of physician reputation in the clinic, which spreads to the hospital staff and then to the medical community as a whole. It goes without saying that physician behavior supportive of a poor reputation spreads like a nuclear blast, while the construction of a stellar reputation occurs very slowly. This leadership in a physician’s broader sphere of influence occurs for reasons different than other areas of life. Self-leadership and your position in your family are yours by reason of authority. Leadership of your group’s physicians and practice team is based in their permission. But leadership in your hospital, medical community, church and community come to you by invitation and therein lies the nicest of compliments about the person you are. When your staff or the staff and administration team at your hospital ask if you will see and treat their family members, take those requests for the high compliments they are. When you are asked to lend your name to a civic event or fundraiser, do so, and then be present to add your personal support. Giving your time, talents and treasure is modestly beneficial to the recipients and can be immensely rewarding to you. Recognize these opportunities, invest in yourself and lead like your M.D. designation required it — because it actually does. Powerful leadership begins with you but finds its end, and its purpose, in the community of people who respect and admire you. Article contributed by James A. Stroud, CPA, D. Maddox Casey, CPA, and Sae Evans, CPA, with Warren Averett CPAs and Advisors, an official partner with the Medical Association. In our work with hundreds of medical practices, and in our Firm’s medical practice manager roundtable meetings, a common issue among medical practitioners is the uncertainty about the economic future of their medical practices. Reimbursement levels may drop, many patients may choose medical coverage offered by a state-sponsored exchange, and the burden of changing technology is felt in many areas of practice. Since so many aspects of a medical practice are beyond the control of physicians, it is essential that doctors, in a private practice, exercise intentional control over the areas where they still can. This strategic planning is less daunting than many think, and can produce a more dynamic practice than you have experienced in years. The process of strategic planning begins with an honest assessment of your practice’s current situation. Each physician’s candid opinions must be sought and considered in the development of an agenda for the group meeting. Since candor, among even the most collegial doctors in a given practice may be difficult to elicit, consider having an outside facilitator conduct these interviews. Based on the content of each doctor’s concerns, build an agenda for the planning meeting. It is recommended that these meetings be held at a neutral site outside the office but can be held in the practice conference room as long as no physician is permitted to exert his or her authority by sitting in their “power” chair or heavy‐handedly controlling the agenda. Prior to the actual retreat, the administrator and facilitator must assemble background information and construct schedules necessary to answer as many fact‐based questions as possible. The goal of these schedules is to lessen the likelihood that a decision is postponed for want of additional data or a projection of the impact of the decision. Physicians are among the worst at group decision making. Some are so accommodating of their partners that they permit everyone to have “veto power” over any issue. Others let one member of the group require that the matter be tabled until every conceivable question can be addressed. Some groups apply their appropriately cautious medical decision-making processes to business decisions, which are not nearly as lethal or consequential. Whatever the reason, these result in what we refer to as Decision Deficit Disorder in medical practices. This too is a reason to have an outside facilitator. With an agenda built on the issues of concern to all members of the group and background material developed for each point, the meeting is a time to make strategic decisions and assign tactical responsibilities. Select one of the easier matters for first on the agenda to establish a quick tempo, gain a positive perspective and promote participation by the entire group. If painful issues must be addressed, these should be handled privately unless that avenue has been tried and failed. A sufficient content would be five to seven decisions, depending on the magnitude of the topics. We have been involved in planning processes where more than ten issues were resolved but a recent strategic process resolved five matters. In that instance, the group decided where to open a satellite office, determined to recruit two new physicians, renewed their commitment to reach out to referring physicians, decided to hire a marketing director for the practice and affirmed a plan to make their clinic days more accessible to patients. This proves that major things can happen when doctors focus on their own business needs. Article contributed by Sae Evans, Maddox Casey and Jim Stroud, Members, Warren Averett Healthcare Consulting Group. Warren Averett is an official partner with the Medical Association. After mastering self-leadership, the next step is to lead your physician partners and your office staff. Contrary to common belief, some aspects of this role should be filled by all physicians in the group. Yes, there may be a designated single leader for the practice, but that should not enable the others in the group to abdicate their leadership responsibilities. It is a common error to think “I will wait until I am the senior partner, or I will wait until I am the highest producing partner before I begin to lead our group.” Lead well from where you are, and the group will be better for it. The respect the practice receives is not necessarily driven by how well your group is led, but a dysfunctional medical practice will impair the regard in which you are held by those outside your practice. As a physician, you wield great influence, and that opportunity is enhanced by a perception that all the physicians in your group are positive examples of excellence in patient care and of decorum. Your employees are also ambassadors for your group as a manifestation of the leadership they receive from you. There are two aspects of leadership and one of them is often neglected in medical practices. First, there is your directed leadership. This is the willingness to make decisions about strategic or tactical matters. Some issues should be handled by your practice administrator and some must be discussed with the full physician group, but many decisions should be made by the physician leader. The issues which the administrator should defer to you from day-to-day matters, will depend on the experience of, and your trust in, your administrator. In today’s complex world of medical practice management, hire a capable person to manage the group, and let them do the job without any micromanagement. Spending too much M.D. time making or reviewing every management decision is unwise. For the bigger issues, the physician leader must make the call. Even if you prefer to seek group buy in, make the decision first and deliver it as a recommendation to the group. Letting a physician group deliberate until a decision is reached is a recipe for the paralysis of analysis. Do not give any physician a veto power about decisions unless your group is very small or it is a decision of major magnitude, like selling or merging your practice. The second aspect of leadership, and most often overlooked, is your permissive leadership. These are matters which happen because you encouraged or permitted them to occur. Permissive leadership is a hands-off approach and works wonderfully when all members of your group share a common clinical, behavioral and ethical work philosophy. At Warren Averett, when our team is assisting clients in the recruitment of a new physician or in a merger of medical groups, we always steer the discussion away from the monetary issues until we feel that the physicians involved have a compatible clinical mindset. Clinical compatibility could be perfect, but there must also be a behavioral agreement among the physicians. Are the staff deserving of courtesy and appreciation for their patient support efforts, or are they paid to do a job and that is all the thanks they should expect? Is profanity acceptable in the medical practice? How casually may a doctor cancel clinic in order to engage in last-minute recreational or travel pursuits? Are the practice policies regarding social media, taking vacations when other physicians are already off and fraternization with select members of the staff, hard rules which must be followed, or are they only suggestions? We have been involved in mediating physician disagreements on every item listed here, so we believe it is crucial to discuss these issues before physician employment. If all in the group are clinically and behaviorally in synch, the remaining issues center on work ethic and most of those can be handled through the physician compensation plan. Physician start time, end time, pace in the work day, use of office talent, ancillary procedures performed, payer mix and procedure mix all impact revenue. In a production-driven physician compensation formula, differences in these factors will make great differences in resulting compensation. There must be some similarity in work habits and ethic, as well as agreement that differences merit variances in compensation. Where clinical, behavioral and ethical consistency exists among all physicians, and one doctor has the group authority to make decisions, there is harmony, productivity and profitability. We see it time and time again. Article contributed by James A. Stroud, CPA, D. Maddox Casey, CPA, and Sae Evans, CPA, with Warren Averett CPAs and Advisors. Warren Averett CPAs and Advisors is an official preferred partner with the Medical Association. The payment architecture for health care services changes often enough to make it nearly incomprehensive. While there are many elements needed for navigating this maze, physician leadership is the most essential. In future issues, we want to address the role of leading your physician partners, the leadership of your employee team, leadership in your medical community, your impact on your patient population, and leadership outside of your profession. However, leadership in all areas begins with effective leadership of yourself. Because the Healthcare Division of our Firm is singularly devoted to the provision of services to physicians and their practices, we have the opportunity to regularly observe hundreds of physicians in their roles within their practice. Some are natural leaders, while others have made themselves into the leaders needed by their group and some have assumed leadership but are not truly ready for the role. To be a leader, you must have the right perspective, clear personal goals and an abundance of wisdom. The foundation for leadership readiness is found in a perspective that your purpose is to serve those you lead. In the opening words of Rick Warren’s book, A Purpose Driven Life, the author begins with a reminder that “it is not about you.” If you believe that your environment exists to serve you, your decisions will be selfish, your judgments self-serving, and your appetites insatiable. This belief cannot be concealed, and it is very distasteful when observed by your partners, staff and others. However, when a physician of supreme abilities, abundant blessings and high regard behaves selflessly, the esteem in which they are held is increased, and a resulting willingness to follow their lead is instilled. This means they know the needs of those around them and possess a healthy empathy toward their fellow physicians, employees and others. Those who have a magnetic leadership ability also have a clear vision of what they want to achieve. Their roles as a spouse, parent, grandparent, child of their parents and sibling are marked by intentional goals and plans to achieve those goals. They have fitness and health aims, personal hobbies and recreational goals, and faith-based priorities as well as their medical practice plans. Rather than having to insist on followers, those around them follow by admiration of their balanced lives, clearness of direction, and discipline to stay on task in their pursuits. This leadership by respect rather than by position is discussed in The 360 Degree Leader by John Maxwell. This pursuit of goals must be balanced. For example, the young physician who is so committed to parenting that he or she wants to coach their child’s soccer team is appreciated for their success in all realms of life if they are also the top producer at the clinic, have expanded their hours to see patients before normal office hours and are working on their afternoon off to make up for lost production. Given the same scenario, the doctor/coach who is the lowest producer and does nothing to supplant the production lost to extra time away from work will never receive respect for their one-dimensional enthusiasm. If they also complain about the unfair allocation of patients, errors in the practice revenue cycle and the need for greater compensation, they are assured of disrespect from their staff and peers. The servant leader must have a “healthy empathy,” and the goals of a driven physician must be “balanced.” These qualities can only be found in an abundance of wisdom built over the years. Wisdom enables you to pick the battles you should fight selectively. Patiently wait for the opportune time to engage on the issues, and calculatingly arrange the desired audience to be present as you deal with a matter. Wise actions are deliberate, not impulsive. Some wisdom comes from past mistakes, so always review your own handling of tough situations for ways in which you could have improved. Wisdom is also found in seeking the counsel of others, especially those outside your practice. Future leadership articles will speak to the various areas calling for physician leadership, but self-leadership must be at the core. Article contributed by James A Stroud, CPA, D. Maddox Casey, CPA, and Sae Evans, CPA, with Warren Averett CPAs and Advisors. Warren Averett CPAs and Advisors is an official Gold Partner with the Medical Association.